Miami, FL – The Confederation of North, Central America and Caribbean Association Football (Concacaf) and Soccerex announced today a partnership to support Soccerex’s return to the U.S. for the second time since its founding, which will convene the international soccer community in Miami, Florida on November 15-16 to exchange strategies, insights and a vision of the world of football. The partnership is an extension of an institutional supporter agreement that Concacaf signed in 2017 with Soccerex to provide further opportunities to engage with the global football community – and one of the sport’s most important regions in North and Central America, as well as the Caribbean. Under the collaboration framework for Soccerex USA, the Confederation will have a key role in the convention activities, including presentations of senior executives on the organization’s evolution and leading industry trends. All the 41 Member Associations from the region and key decision makers will be invited to the event. In a new initiative for Soccerex USA this year, Soccerex have gathered an executive advisory board of regional experts and industry leaders, consisting of Concacaf General Secretary Philippe Moggio and representatives from both the U.S. Soccer Federation and Major League Soccer. The advisory board will ensure the conference programming and structure provides valuable and relevant insights to meet the needs of different sectors in the rapidly growing soccer market. (2017) Manchester United and Spain footballer Juan Mata takes part in a panel discussion at last year’s Soccerex Global Convention in Manchester, England. Philippe Moggio, who acts as the chief executive officer of the Confederation, has helped usher in a new era for the organization, pushing its vision and business operations to new levels of growth and professionalism. He brings to the board his global vision providing core advice through many years of experience at Concacaf and within the sports industry. This is a crucial time for the Confederation following the historic win of Canada, Mexico and the United States to host the FIFA World Cup in 2026. In addition to the culmination of years of reforms and streamlined governance, the announcement of a new organizational identity – along with the expansion of clubs and national teams competitions. “It is a real pleasure to be working with Philippe and all the team at Concacaf. For us, to do an event in this region, it is essential we work with the right people and I am sure that with Concacaf’s support, we can deliver a vital business and development platform for Concacaf and all the nations they represent,” said Soccerex COO, Rita Revie. 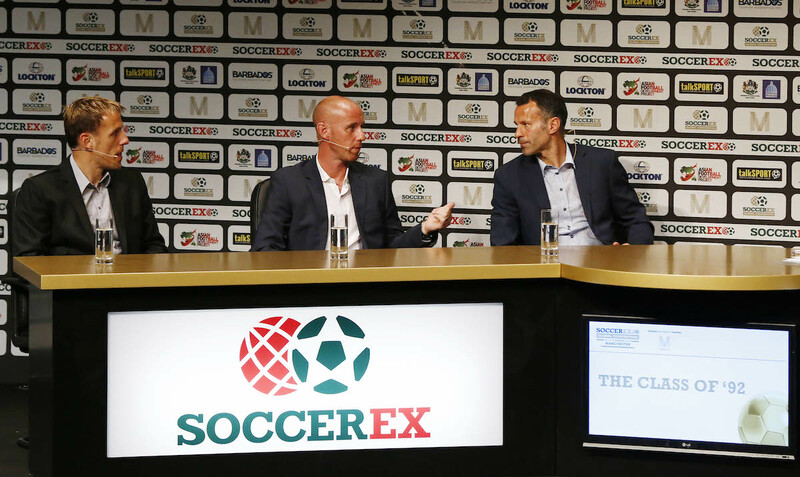 Soccerex USA is sponsored by the London Football Exchange, the world’s first fully integrated soccer club stock exchange and marketplace and hosted in partnership with General American Capital Partners. The two-day event will take place at Miami’s iconic Marlins Park and will comprise an exhibition showcasing the latest soccer business, performance and technology innovations. It will include a program of structured and informal networking events to connect delegates from across the USA and the rest of the world and it will feature a market leading conference agenda, with international experts tacking topics such as league expansion, women’s soccer, youth development, eSports, stadia technology and investment. In addition to Philippe Moggio, other members of the Advisory Board include Oscar Mayo, International Development Director, LaLiga, Mayi Cruz Blanco, former Head of Women’s Football Development, FIFA and David Dein, founding member of the English Premier League.